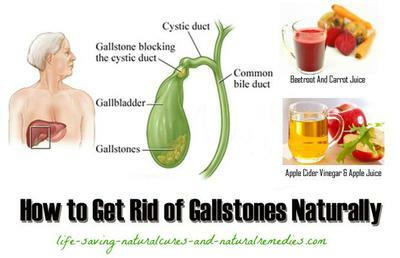 A Natural Remedy for Gallstones That Works Every Time! Good afternoon. I would like to know if there's any natural or home remedies for removing/passing gallstones that work within 24 hours? I'm in a lot of discomfort and need these things gone. Hi Jhon, and thank you for your question regarding a natural way to dissolve/flush out gallstones. Firstly, gallstones are thickened deposits that are basically made up of hardened cholesterol. These "stones" form in the gallbladder and range in size from a grain of sand to the size of a golf ball. In some cases they can be even bigger! Poor lifestyle choices and bad eating habits (especially too many unhealthy fats, fried foods, etc) are a major cause of gallstones. Obesity, diabetes, liver disease and pregnancy are other risk factors. Most people who have gallstones don't even know they have them until the pain and accompanying symptoms hit. Symptoms of gallstones include; sudden and severe onset of pain, particularly around the right side of the abdomen, back pain, bloating, indigestion, nausea or vomiting, and clay-colored feces. Thankfully, there are a few tried and tested remedies and home treatments that work extremely well for breaking down and removing gallstones quickly. It's a good idea to try them all out to see which one works best for you. Home Remedy for Gallstones #1... Apple Cider Vinegar (ACV) and Apple Juice: This is the best (and easiest) remedy for dissolving gallstones. The malic acid in the apples helps to soften gallstones while the vinegar in the ACV stops the liver from making cholesterol (which is what causes gallstones to form in the gallbladder). Mix 2-3 tablespoons of apple cider vinegar in a glass of apple juice (add some water if need be) and drink down. Do this three times daily on an empty stomach, 15-20 minutes before a meal and continue until all gallstones are gone. And if you want to keep your gallbladder healthy and keep gallstones away for good then it's simple, just continue to take this concoction twice a day every day for the rest of your life! Now, you need to make sure the apple juice you use is 100% apple juice and the ACV is raw organic apple cider vinegar that still contains the crucial "mother"
apple (extremely important). Bragg's ACV is definitely the best on the market if you can get it... Bragg's Organic Apple Cider Vinegar. Natural Remedy for Gallstones #2... Lemon Juice: Lemons also stop your liver from producing cholesterol, plus they contain a substance called pectin, which binds to gallstones and helps to flush them from the body. Pectin also helps to lessen the pain associated with gallstones. Drink a full glass of water with the juice of four freshly squeezed lemons twice daily. Adding 1/4 of a teaspoon of baking soda to the mix brings even faster relief due to its strong alkalizing properties. Do this for one week or until your gallstones are dissolved. In addition, it's also a good idea to drink the equivalent of 8-10 glasses of filtered water with a dash of lemon juice (or a slice of fresh lemon added) every day to prevent further gallstones from occurring. Natural Treatment for Gallstones #3... Beetroot, Carrot, Celery, Ginger and Cucumber Juice: A great mix for preventing and treating gallstones. All of these juices are great for detoxifying and cleansing the gallbladder, liver and colon, along with purifying the blood. Get yourself a Nutribullet (or something similar) and mix up 1/2 beetroot, 1 celery stick, 1 medium sized carrot, 1/4 cucumber and 2 good sized slices of peeled ginger. Drink first thing in the morning for a powerful cleanse and detox. Natural Cure for Gallstones #4... Milk Thistle: The milk thistle herb is not only terrific for eliminating gallstones quickly, it's also great for eliminating the pain and inflammation as well. Milk thistle taken every day, will also help to prevent gallstones from reoccurring as it stimulates bile production. It's an extremely healthy herb that you definitely should be having every day for overall good health and longevity! Home Remedy for Gallstones #5... Flaxseed's: This is another super remedy for gallstones that goes to work very quickly. Simply add a couple of cinnamon sticks and three teaspoons of flaxseed's to two cups of boiling water and boil for 10 minutes. Cover the pot after and let it stand for around 15 minutes before drinking. Add some honey to taste and enjoy! Finally, make sure you eat plenty of fresh fruits, vegetables, nuts, seeds and grains and lay off the processed foods, fried foods and junk foods. So get going and give these remedies a try Jhon. You'll be delighted with the results! Comments for A Natural Remedy for Gallstones That Works Every Time! I am concerned that taking what's recommended here on an empty stomach might cause ulcers or some kind of damage to the stomach. Please advise if taking the mixture after food would also do the job. None of these recommendations will cause ANY type of damage to the stomach, or internally as a whole, for that matter. They are all completely safe and will in actual fact help to heal your digestive system and help it to work better. However, if you are concerned then taking them after food would still be okay. Maybe do this for the first month and then switch to having them before food after this period. I've been told I have a really large gallstone along with other smaller ones. I'm worried that if it gets dislodged from the gallbladder that it may become stuck in the intestines if I use some of these suggestions for riding oneself of the stones. What do you think? The apple cider vinegar with the mother and apple juice, along with the lemon juice, will break down the gallstone(s) so this wont happen. The beetroot, celery, carrot, ginger and cucumber drink will also help to safely break down and dissolve any gallstones. Be sure to use all 5 remedies in combination with each other (all together) for best results. Good luck and all the best to you Sandy! Apple Cider Vinegar on it's own? Can the apple cider vinegar just be taken with water and/or lemon juice? So without the apple juice? I'm pre-diabetic and want to avoid sugar. Hi, will these work if gallstone is 1.5 cm big, along with small ones & inflammation is present? Hi Troy, I'm having a gallstone at the minute. Can I drink apple cider vinegar with water? I don't have apple juice or lemon juice. Yes, these will still work, however, it will take longer for the big gallstone to shrink so you will need to be patient. I have a Milk Thistle tincture. Will this work too instead of the capsules or tea? I also have Holy Basil Tea for liver detox. Can I add this as well? I just cant have surgery. I have had abdominal muscles cut out and have a large mesh covering my abdomen. There's no way they can operate safely. They are trying to tell me there is no way to clear my gallstones, only by surgery and I'm telling them they're wrong. I have an ultrasound coming up and I would love to get them cleared before I have it and prove to them it can be done. I really hate doctors and their constant push for surgery. The milk thistle tincture is perfectly fine Heidi. Adding the holy basil tea is also a good idea and will compliment the milk thistle nicely. Don't forget to utilize the other remedies listed too, particularly the ACV and apple juice (along with the beetroot, carrot, celery, ginger and cucumber juice). Thank you so much for your information! I have 3mm stones, 3 in total. I started this full natural treatment 2 days ago, my question is: how will I know when my gallstones are gone? dissolved? Only thru another ultrasound? Do you have any comments or advice about saw palmetto causing more gallstones? Or is it safe to take? Thanks! Heidi, you're so right about these doctor's. The only remedy they know is surgery because it's more money for them. They need to keep you coming. What I have learned from the research I've done is surgery doesn't eliminate the problem, it creates more. They say aww don't worry, you don't need that organ, you can live without it. If that was the case it wouldn't be there in the first place. Anyway, I'm going to try these remedies so when I go for my CT scan the doctors will see that there are other ways. Good luck Heidi. Let's do this, cause I don't want the surgery either! Thank you Troy, I'll keep that in mind! How about calcium and collagen supplements? Do they help on the gallstones formation? I stopped all my supplements when I found out about my gallstones. Hi Troy, I have tried acv 2 times and I have Barrett's esophagus. Could you tell me if acv is safe to use with Barrett's esophagus? I did drink it straight without apple juice and it seemed to burn. Thank you. Try and drink the ACV with water rather than straight so it doesn't burn. Failing this, go with the ACV capsules instead as these do not burn. Hi! My mom is allergic to lemons. After drinking lemon juice she started having cough problems. Please suggest an alternative to the lemon juice. Her diet is normal, she drinks plenty of water daily and is very active. Go with the apple cider vinegar and apple juice instead Sia (along with the other remedies listed). This combo works extremely well. Limes in place of lemons? Is it possible to use limes instead of lemons? Can I take the AVC and apple juice while pregnant? Are they okay? Hi, I want to ask that if a person also has a history of kidney stones, can he safely use these natural remedies for gallstones? Because it is thought that vitamin C plays a role in the formation of kidney stones and persistent use of citric remedies for a long time (as for dissolving a big gallstone) could trigger the formation of kidney stones, especially if a person is also on calcium supplements for his low bone density. Hi, I have multiple gallstones varying in size (3-5mm). I am taking a homeopathic medicine. Can I take apple cider vinegar along with this? I was told I needed surgery, I have extreme pain and swelling. What is the quickest method. I DO NOT want surgery, I am terrified. You need to take a high amount of vitamin C in supplemental form for this to (possibly) cause kidney stones. This wont happen from taking ACV and some lemon juice. 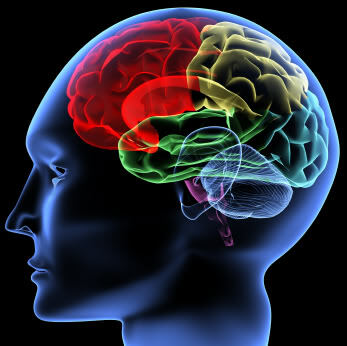 In fact, ACV, baking soda and lemon juice actually help to prevent kidney stones by raising your body's pH level. Vitamin D (along with calcium and magnesium) also help prevent kidney stones. Have a read of our two articles on preventing and treating kidney stones for more information on this... Best Natural Cures & Home Remedies for Kidney Stones. 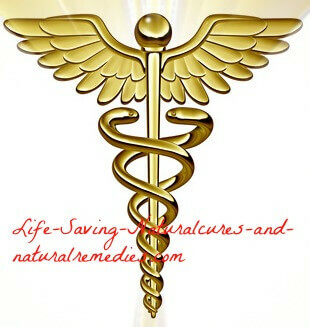 Bottom line... the remedies above will all help with your gallstone AND preventing kidney stones. All the best to you Ali! ACV is perfectly safe to take with any type of medicine or remedy. Apple cider vinegar is simply fermented apples. There's nothing bad about apples. The quickest method is to follow all 5 of the recommendations listed above to-the-letter and never missing a day. After having an ultra sound I was diagnosed with 1 small gallstone. I was ok with this until a surgeon told me I needed my gall bladder out. I've only had 1 attack and feel ok except for the occasional soreness. These natural ways to help blast my gallstone out I am going to start on next week. Can I just try one remedy instead of all 5? Also, I would like to know how I will know if the stone is being blasted or if it's gone? I don't think my doctor will let me have another ultra sound as I went to her for a second opinion about what the surgeon said and she agreed that surgery is the only option. Hope to hear a reply soon. You can certainly just use one of the remedies listed above if you like, however, to really "blast" (as you like to call it) your gallstone you should consider utilizing all 5 to give yourself the best chance possible of removing it. If the stone breaks down enough, you may not even be aware that you've passed it. If you want to check, the way to do it is not pretty. You have to sift through your feces. This article explains the details... How to Know If You Pass a Gallstone. Hope this helps you Barbara. Thank you for your tips Troy. I have been told I have three gallstones, the biggest is 1 1/2 inch. From the ultrasound, they could not see my gallbladder well because it has got smaller compared to when it was checked a year ago. My biggest problem is eating. Even though I avoid fat, and have plenty of fruit and veg, when I eat food does not pass through my system, it stays there until I have very severe pain and am constipated. The doctor has given me lots of different laxatives but none of them work, they only make things worse. Magnesium works but I have been told I cannot use it as my heart is beating out of rhythm in the lower chamber. They think it's because of my gallbladder because other than this, it is healthy. I am now dependent on needing to take some kind of laxative because my system will not work on its own anymore. And I need to wait something like 4 weeks before I can see a specialist. In the meantime, I need to get by and be able to eat as I am so hungry but scared to eat anymore. Anything you can suggest will be much appreciated. I have just started taking the apple cider vinegar and apple juice today and it has helped me with the pain so far. Thank you. I had a gallstone attack 2 years ago. The hospital wanted to take out my gallbladder, I wouldn't let them. I have had a couple of episodes since then. Apple cider vinegar absolutely works for me! I didn't have apple juice so I mixed it with water. I was pain free in 15 minutes. Laxatives are not a good option unfortunately, and create laziness in the bowel. Have a read of our article on natural constipation remedies for some handy tips on controlling and ultimately fixing this problem... 10 Home Remedies for Constipation That Give Fast Relief. Lots and lots of probiotics are crucial for a healthy digestive system and for curing constipation problems (#7 cure in our article), so definitely make sure you're getting enough of these. Also be sure to read through our #10 cure (Diet) for some handy tips on the best foods to eat to help alleviate your constipation. I'm not sure why you can't take magnesium if you have arrhythmia? Magnesium is actually crucial for heart health and for treating and curing cardiac arrhythmia... 5 Powerful Natural Remedies for Cardiac Arrhythmia. The trace mineral selenium and iodine are also crucial for treating this problem as well. So hopefully these tips help you out Whitney. I intend to continue to do all that you recommend for gallstones. Wondering if adding celery extract in the form of caps would also benefit in the pulverisation of the stones. ACV + apple juice is a powerful remedy. Thanks for all the advice, hints & recommendations. Yes, celery seeds are great for preventing and dissolving both gallstones and kidney stones. The extract is even more potent of course. You definitely can't go wrong taking this. Do these remedies work regardless of the size of the Gallstones? I have two gallstones and the biggest one is 1.4cm. Would any of these remedies help shrink them to pass out of the gall bladder? I am enjoying reading your posts... thank you. My question is why do we need too use all of these remedies together? I was told I have "lots" of gallstones so can't I just use only the ACV? Also, I am currently using the "Stone breaker" and havee been using it now religiously for 2 months but no results as of yet. Any input on that? Regardless of the size of the gallstone(s), these remedies will help shrink them. Naturally, the bigger the gallstone the longer it will take for it to shrink. Hi Lynn. Yes, you may be able to break up and remove your gallstones just from taking the ACV. The reason we recommend multiple remedies is so you hit your gallstones from different angles (holistic type approach). Sometimes one remedy will not work, but different combinations can be incredibly effective. In regards to the chanca piedra, make sure you're taking the highest recommended dose listed on the bottle and taking it as per the recommendations. Chanca piedra is safe to take so there's no harm in taking the highest recommended amount. I would love feed back on who tried this and what and if it worked or if you ended up having the surgery in the end? What do you think about taking Gold Coin Grass to dissolve gallstones? Is it safe & effective? Does ACV cause decrease in bone density and tooth enamel erosion? You advise to take 2 tablespoons full 2-3 times a day, which works out to almost 1/3rd of a cup of ACV a day. I read that it's not advisable to take more than 2 TBSP per day as it causes bone density issues and erosion leeching. Please let me know your thoughts? Gold Coin Grass (Desmodium Styracifolium) has been used in Chinese medicine for 100's of years to help remove kidney stones and gallstones. From all reports, it works very well. Just remember though, Gold Coin Grass only breaks up the gallstone. It's advisable that you also combine olive oil and lemon juice daily with this herb to help flush out the broken up/crushed pieces of gallstone from the body. While it's true that too much ACV can cause tooth enamel problems (drinking it through a straw does solve this problem), as far as interrupting bone density, that's never been proven. On the contrary, raw organic ACV with the "mother" is rich in calcium, magnesium, boron and potassium, all the minerals your body needs for healthy bones. As far as dosages go, you can take up to 4 tablespoons a day with no problems, even higher if you want. Remember, ACV is just fermented apple juice (totally natural). There's no restrictions placed on how many apples you can eat in a day (it would be ludicrous if there was) so placing a limit on how much ACV you can have in a day is also ludicrous in my opinion. Remember also, you only take the highest amount until your gallstone is dissolved - it's not a long term thing. And in regards to the acidity? Once apple cider vinegar enters the body it changes from acidic to alkaline (which is also a good thing). I recommend you have a read of this article from our friends at Healthy and Natural World for more information on this... How Much Apple Cider Vinegar Should You Drink?. Hello, I have just been diagnosed with gallstones. I am already taking ACV capsules. Are these as effective as the liquid? I am going to try these other remedies as well and just want to be sure I am doing all that I can to get rid of these and avoid surgery. The ACV capsules still work. I would recommend you also drink PLENTY of lemon water (#2). Combined with the ACV, lemon water is terrific for helping to break down a gallstone. In addition, you may want to look at performing a gallbladder flush. Have a read of this article from our friends at Earth Clinic on how to go about this... Gallbladder Flush Recipes and Treatment. Hi, I've just found out I have a 3cm gallstone, non calcium type. What should I do to break it down without causing it to flush and get stuck. Can these remedies be taken with the meds I've been prescribed? None of the remedies listed above are harmful to the body in any way. In fact, they will actually help you become much healthier and help heal your insides (which is a good thing of course). Remember too, definitely no processed foods, fried foods or junk foods should be eaten if you have had your gallbladder removed. Plenty of fresh fruits, green leafy vegetables, herbs, seeds and nuts are what you need to be eating. The 5 recommendations listed in this article are completely safe to take while on medications. They are all natural foods so there's nothing bad about them. In the comments you'll read about the benefits of the chanca piedra herb for breaking down gallstones. This particular herb is very effective and definitely worth considering. You can buy it online or from your local health food store. Do not consume alcohol while taking the chanca piedra though. Hi. I have gallstones and the doctor said I need to have my gallbladder removed. I've had these gallstones for years! I first found out when I was pregnant with my son (he's 25 now). I am wondering if it is possible to dissolve these stones now. I am having problems with digestion and fatigue all the time now. Could this be the problem? I don't want surgery again. I had an emergency c section in 09 and it took me forever to get over that! What can I do? I am also a single mom. There is no harm in using the remedies listed above Cheryl - they are all natural and completely safe. Because you've had gallstones for while, it may take a little time to get rid of them, but it's certainly doable. Use all of the remedies listed above for at least 12 months and I think you'll be quite surprized at the beneficial results you get. These remedies will also help to boost your energy and get your insides working properly again. Is there any risk to starting these remedies, then abruptly stopping them? Thank you! I have a gallstone 0.37 in size. Is the ACV ok to take if you have an ulcer or low blood pressure? Raw organic apple cider vinegar helps to regulate blood pressure, so if it's high it will help lower it, if it's low the ACV helps your body to maintain a more normal level. So yes, it's perfectly fine in this regard. In regards to stomach ulcers? Apple cider vinegar soothes and heals the gut lining, which is a good thing if you have a stomach ulcer. You do need to be careful though that you don't take too much in the beginning. Start off slow with the ACV and build up to the recommended amount over a period of several weeks. In addition to this, have a read of this recent Q&A we did on stomach ulcer cures... 7 Ways to Cure a Stomach Ulcer Quickly & Permanently at Home. Good luck and all the best to you Jhona! My dad is in his 80's. He is bed bound, diabetic, has a gallstone, fatty liver, constipation and gastric problems. I tried giving him ACV 1/2 teaspoon and 1 glass of green apple juice everyday in the morning before breakfast. I am not sure whether his gallstone is dissolved. He still has itch on his skin but this concoction has been helpful for his constipation issues. Keeping my fingers crossed that it helps to dissolve his stone as soon as possible.